Includes: Jesus Shall Reign - Kum Ba Ya - Nearer My God To Thee - O Happy Day - Rock Of Ages - Silent Night - Hymn to Joy - Were You There- - more. 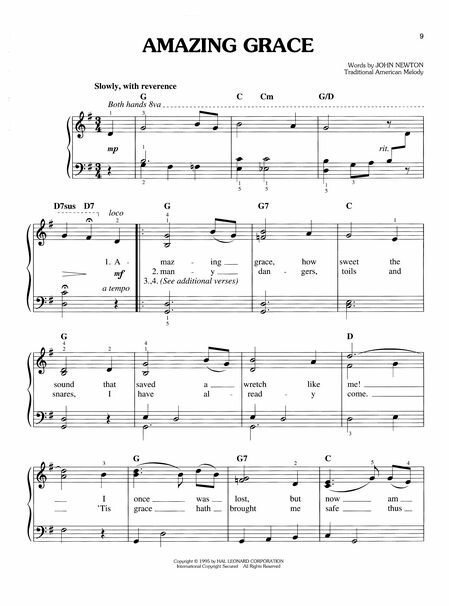 Yesterday's songs arranged for today's worship by Bill Wolaver and Carol Tornquist. Songs include: 'tis so sweet to trust in jesus - all hail the power of jesus' name - america, the beautiful - be still and know - brethren we have met to worship - come, thou fount of every blessing - come, ye thankful people, come - faith of our fathers - for the beauty of the earth - he hideth my soul - how firm a foundation - i need thee every hour - immortal, invisible - jesus loves me - jesus shall reign - let us break bread together - the lord's my shepherd, i'll not want - more love to thee - my faith looks up to thee - nearer my god, to thee - o sacred head, now wounded - o the deep, deep love of jesus - o worship the king - oh, how i love jesus - old rugged cross, the - spirit of god, descend upon my heart - sweet hour of prayer - tell me the story of jesus - the church's one foundation - many more! This unique folio includes 33 classic hymns arranged especially for contemporary worship settings. Each solo is tastefully created using new harmonic and rhythmic ideas,while maintaining the integrity of the original melody and lyrics. Titles include: Amazing Grace · At the Cross · Be Thou My Vision · Blessed Assurance · Higher Ground · I Love to Tell the Story · In the Garden · Nothing but the Blood · Softly and Tenderly · When I Survey the Wondrous Cross · and more. 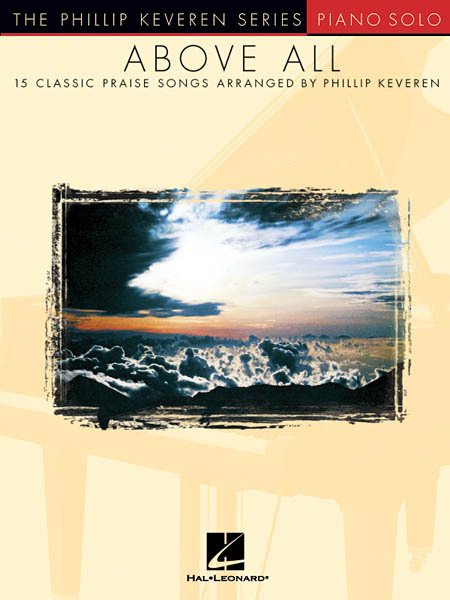 15 beautiful praise song piano solo arrangements by Phillip Keveren. Perfect for home or congregational use. Includes: Above All · Agnus Dei · Ancient of Days · Breathe · Come,Now Is the Time to Worship · Create in Me a Clean Heart · Draw Me Close · He Is Exalted · I Stand in Awe · I Want to Know You · Lamb of God · More Love,More Power · Step by Step · We Fall Down · You Are My King (Amazing Love). Phillip Keveren provides simple, yet moving arrangements of 20 favorite hymns: All Hail the Power of Jesus' Name · Be Still My Soul · Be Thou My Vision · The Church's One Foundation · Fairest Lord Jesus · I Surrender All · Nearer, My God, to Thee · The Old Rugged Cross · Softly and Tenderly · This Is My Father's World · We Gather Together · more. Big-note notation. Abba (Father) - Always Have, Always Will - Arms Of Love - Awesome God - The Basics Of Life - Can't Live A Day - Crucified With Christ - El Shaddai - Faithful Friend - Father's Eyes - Find Us Faithful - Fool For You - Friends - Go Light Your World - God Is In Control - The Great Adventure - The Great Divide - Great Is The Lord - Heaven In The Real World - Here I Am - His Strength Is Perfect - Holy - How Beautiful - I Can Only Imagine - I Will Be Here - If You Could See Me Now - In The Name Of The Lord - Jesus Will Still Be There - Joy - The Joy Of The Lord - Just One - Lamb Of God - Love In Any Language - Love Will Be Our Home - The Mission - More To This Life - Oh Lord, You're Beautiful - People Need The Lord - many more! 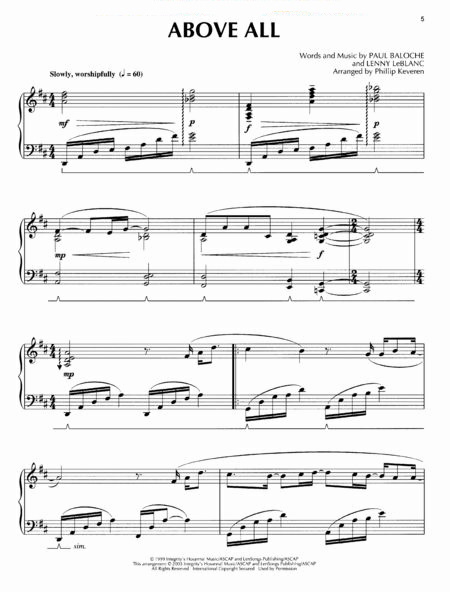 An easy piano edition of our popular collection featuring 116 hymns! Includes: Abide with Me · At Calvary · Be Present At Our Table, Lord · Be Thou My Vision · The Church's One Foundation · Crown Him with Many Crowns · Faith of Our Fathers · God Will Take Care of You · He Leadeth Me · Higher Ground · How Firm a Foundation · I Love to Tell the Story · I Surrender All · In the Garden · Jesus Paid It All · My Jesus,I Love Thee · The Old Rugged Cross · Stand Up,Stand up for Jesus · We Gather Together · Were You There? · When I Survey the Wondrous Cross · and more. 118 of the most loved hymns of all time,including: Abide with Me · At Calvary · Be Thou My Vision · The Church's One Foundation · Crown Him with Many Crowns · Every Time I Feel the Spirit · Faith of Our Fathers · God Will Take Care of You · He Leadeth Me · Higher Ground · How Firm a Foundation · I Love to Tell the Story · I Surrender All · In the Garden · Jesus Paid It All · My Jesus,I Love Thee · The Old Rugged Cross · Stand Up,Stand Up for Jesus · We Gather Together · Were You There? · When I Survey the Wondrous Cross · and more.